I had the itch to make carnitas in November, after reading this, but sadly, the itch got lost due to the holidays, etc. 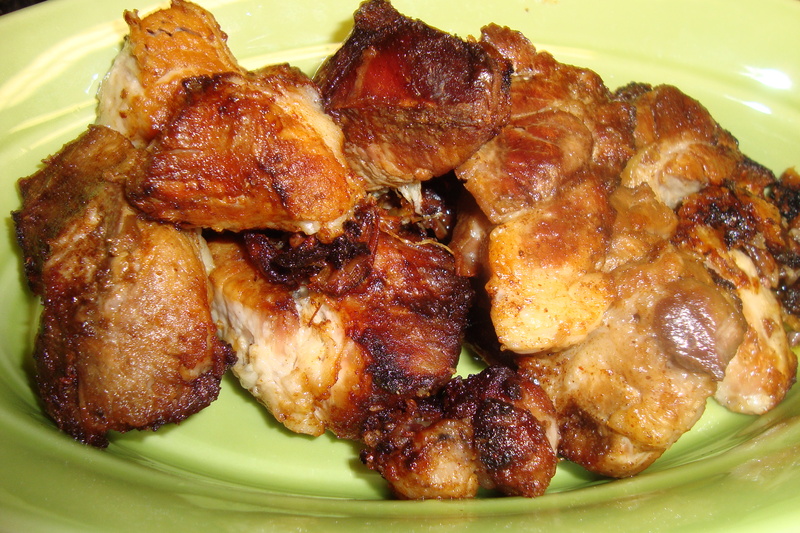 I had made carnitas before using lard, but I was very intrigued by the idea of braising them and browning them in the fat that renders. I basically stuck to the recipe, but added beer for fun, and chili powder for kick. I would say that 3 lbs. of pork shoulder serves four people, depending if you have some big eaters around to help you. A lot of the pork fat will be rendered, so the amount of meat will shrink considerably. 1. 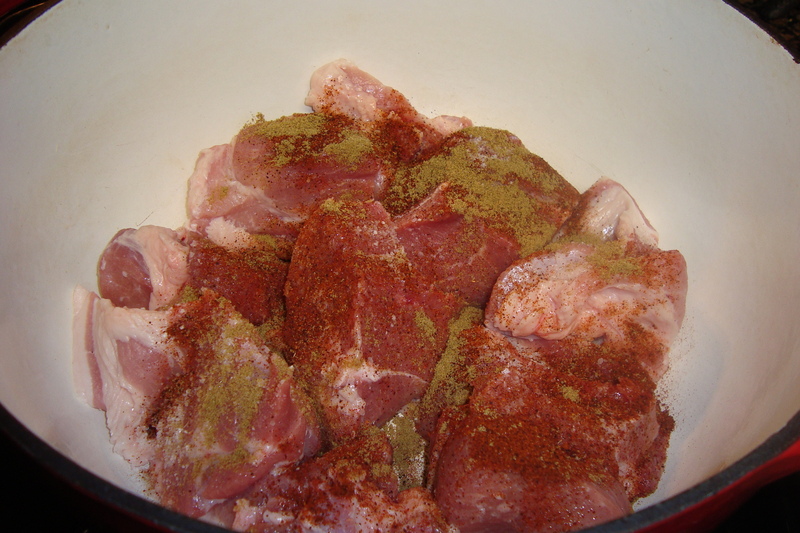 Place the pork shoulder fat side down in a single layer in a Dutch oven, along with the lime juice, garlic, beer, salt, cumin, and chili powder. Add enough water to just cover the meat. Simmer over medium heat, uncovered, for two hours. 2. After two hours, increase the heat to medium-high, and allow the braising liquid to cook off. 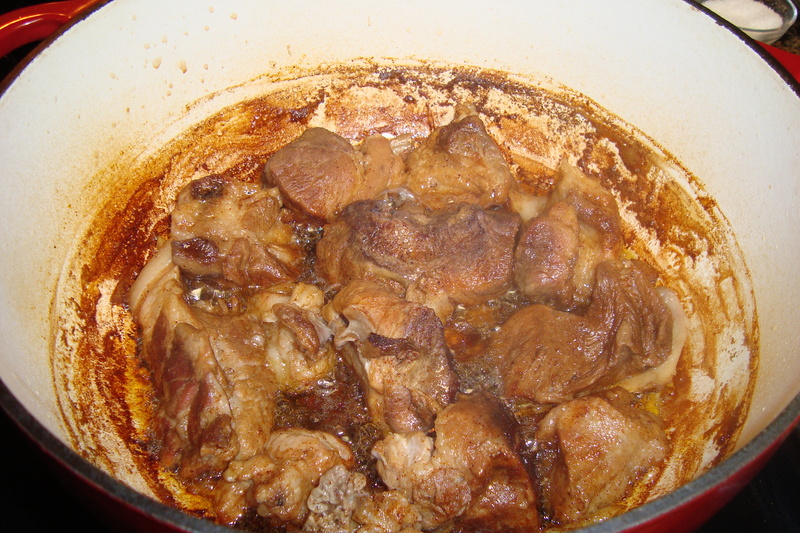 When just the rendered fat is left in the pot, the pork should begin to brown. Cook for 30-40 minutes, turning the pieces over occasionally, until the pork pieces are nicely browned all around. 3. 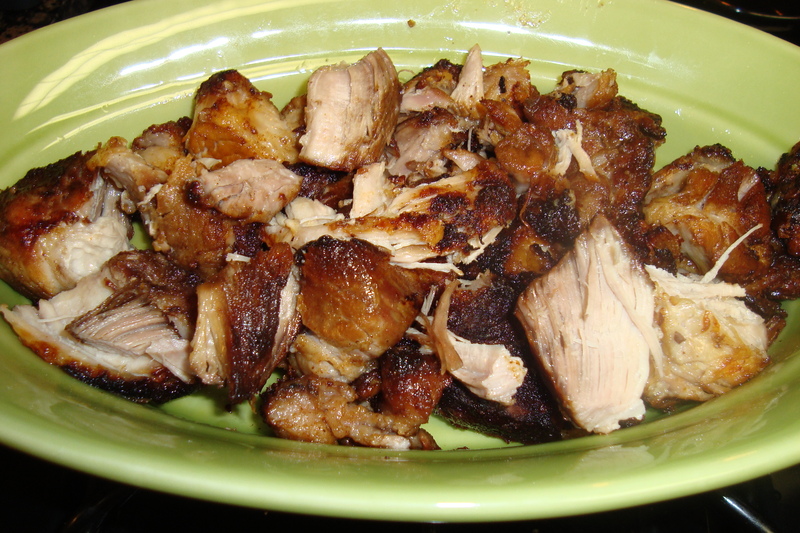 Remove the pork from the pan, and break the bigger pieces apart. 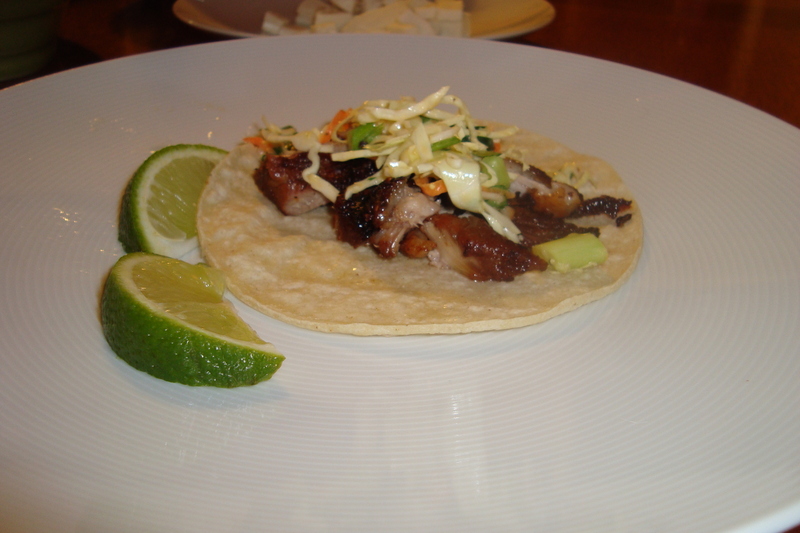 Served with tortillas, pinto beans, and slaw. What does 8-month-old Jackson eat?